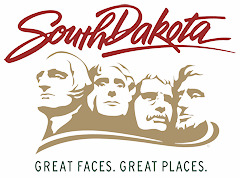 PIERRE, SD – On Thursday evening, Governor Kristi Noem and the South Dakota Department of Tourism presented awards to tourism industry members at the 2019 Governor’s Conference on Tourism in Pierre. The 10th Annual Rooster Rush Cacklin’ Community Award went to the community of Aberdeen for its efforts to welcome pheasant hunters to the state. The Aberdeen Convention and Visitors Bureau (CVB) provided service and hospitality from the moment hunters stepped off the plane by serving pheasant sandwiches and providing gift bags. The hospitality continued at hotel check-in, and the CVB hosted unique events like the Pheasant Sandwich Shootout. The George S. Mickelson Great Service Awards were given to Reptile Gardens in Rapid City and the Swiftel Center in Brookings. This award honors businesses, communities or organizations that have done an exemplary job of customer service and exceeding visitor expectations. The Excellence in Tourism Innovation Award is given to an industry partner for their innovative thinking in making their destination, business or attraction even more appealing to visitors. This year’s award was given to Wylie Park and Storybook Land in Aberdeen for their unique special promotions and overall elevation of the visitor experience. In its second year, the Ruth Ziolkowski* Outstanding Hospitality & Customer Service Award was given to four industry members from across the state. This award honors tourism industry professionals who display outstanding and genuine hospitality to visitors. The awards were given to Amanda Allcock from Crazy Horse Memorial, Inez Muilenburg* from the Super 8 Hotel in Huron, Nova Steinhauser* from the Platte Creek Lodge, and Jaqueline Wentworth from the Sioux Falls CVB. 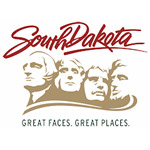 The A. H. Pankow Award recognizes a representative of the media for showing superior interest in and coverage of the South Dakota tourism industry. Mike Tanner from KWAT Radio in Watertown was awarded for his continued efforts to spread the word on the importance of tourism in South Dakota. Finally, the Ben Black Elk Award honors an individual who makes outstanding contributions to the state’s visitor industry. The winners of this outstanding award were Dennis and Sherry Povondra* for their dedicated efforts to the community of Tabor and its legendary Czech Days event. Inez Muilenburg was not able to be present to accept the award. The Huron Chamber & Visitors Bureau accepted on her behalf. Governor Kristi Noem and Secretary James Hagen are pictured with all award winners. Pictured with the Ruth Ziolkowski Outstanding Hospitality & Customer Service Award winners is the Ziokowski family.